These mighty workers will consume anything that was once living and convert it back into a rich fertile form of soil beneficial to our environment. 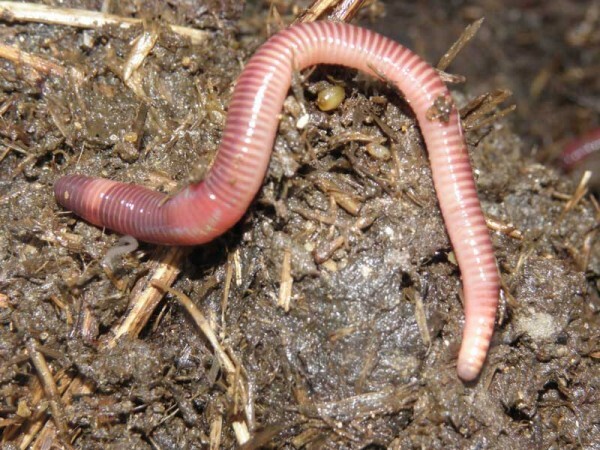 Our compost worms are a combination of Reds (Lumbricus Rubellus), Blues (P. Excavatus) and Tigers (E. Fetida). The three work well with each other; the Blues doing best in the warmer months and the Tigers in the cooler month. NOTE: Each pack contains approximately that number of worms. As you can imagine it would be very difficult to count the number of worms exactly. Tired of discarding your green waste into landfill and hosing out that smelly garbage bin? Clean up and convert that unwanted kitchen waste, let the worms do the work for you. Have a value adding waste conversion system right outside in your backyard, producing a continuous free supply of natural fertiliser for those home grown vegetables and flowers. We sell the worms both locally or contact us. Worms can also be shipped by Australia Post. A mixture of Red, Blue and Tiger worms. Available direct from our farm, delivered to Scone, Muswellbrook and Morpeth area. Or they can be sent direct to you by Australia Post. This is the smallest quantity we supply. Ideal for reactivating a compost bin or worm farm. Approximately 1000 live compost worms. Ideal for starting a household worm farm like Can-O-Worms. Hunter Natural shared a post. This incredible digestive system turns grass into meat, milk, and leather, drops high quality fertilizer and probiotics onto the land, and can turn a desertifying land into a thriving grassland ecosystem. As long as the grazing is managed holistically. I consent to Hunter Natural - Naturally Better collecting my details through this form.